🍉La sandía , tambien conocida como patilla/sandia , melón de agua . 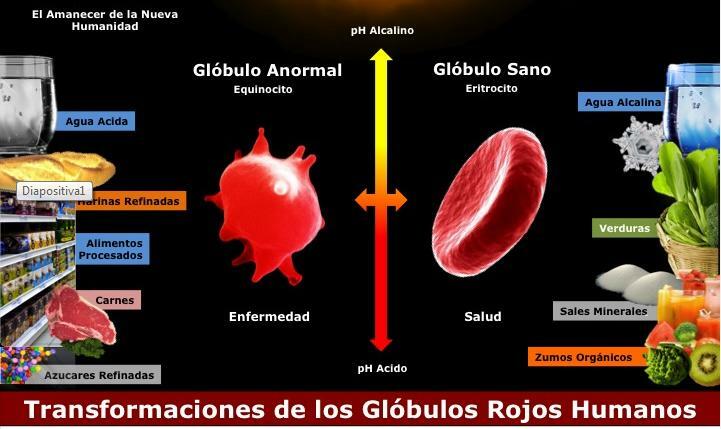 contiene vitamina C , vitamina A , calcio , fósforo, potasio y magnesio entre otros minerales. Para problemas en los riñones, vias urinarias, próstata 🤒 o retención de liquidos, la sandía es un diurético natural ideal pada los problemas te toxinas y aumentar la secrecion de orina por los riñones🤕. por su alto contenido en fibra favorece a la limpieza de los intestinos. Luego de un tiempo de ausencia , retomamos la labor de Salud integral Taoista, para comenzar, durante esta semana les traemos este audio sobre tips y consejos para un cabello hermoso y saludable. Comunidad de Salud Taoista , te invitamos para que oiga un programa o podcast sobre el Cáncer como enfermedad y como evitarlo . Once upon a time, once a bird in the branch of the tree, he slept and slept . He sleeps at night and slept during the day. He had much sleep. Lazy Ron kikí was a bird flying and waiting for his mom or dad to bring him food to the branch of the tree. One day when other birds already were preparing to emigrate to other places because warmer winter approached, called insistently: Ron Kiki , Ron Kiki awake! Now we must go, as the cold came! But Ron kikí not believe him, he opened one eye , but still see some leaves kata plash ! He leaned back to sleep. It did not take long to see the leaves on the trees. A strong wind made the trees only in branches. Suddenly Ron kikí sleepily opened his beak dreaming that brought him a snack and went back to sleep. As an opportunity to Ronkikí, one last bird, lazy friend who recognized him from afar and strong scared shouted: “Ron kikí, winter came” takes off and get out of here !, but Ronkikí opened the other little eye and said “for a while more “intelligent friend but the bird did not wait a minute more and faster flew the tree. Days passed and hungry and cold weak vague bird woke desperately calling Mom, Mom! Father!!!!!! Where are they?, but none replied .. Suddenly Ron kikí was found in his leafless tree, fruitless and now householder, cold and hungry and much Frio Ron kiki was so cold that went back to sleep. Ron kiki suddenly began to dream of a hawk chasing him wanting to eat as a delicious sandwich … At the precise moment when the hawk manages to catch and have it in its claws, Ron kiki exclaimed nooooooooooooooo. That scare, which upset! It was just a nightmare! Tears welled up in her eyes as she remembered that everyone had called and he did not obey. Ron kikí felt remorseful, apologized to the Creator and vowed never to lose one morning, he would use his life from moment to moment and would value all that had been granted. Tired of mourn, he tried to fly, but when trying to take off weak fell to the floor knowing their sad reality: Ron kikí was very weak. Suddenly he tried to take a few leaps and as he could come to a stable where a donkey eating in large quantities. With some trepidation, Ron kikí went approaching the donkey and welcoming, more confident sorrows told him and then asked, donkey Lord, now I feel sorry for all that I lost, but as long I have not tried making a snack, I have nothing to eat and I’m very hungry and if you can, your tray a little gift left me. Said the burrito: Ron kikí I was just like you, but I’ve heard and seen your humility and honesty in your words and can tell you that we will gladly give you a try and if you is the power to sing, I would propose that you me sing and I will eat. Gladly I will Mr. Burrito! Happy Ron kikí replied. When Ron kikí finished eating, I was happy to sing and cheer and managed the donkey. Suddenly the donkey to see again sad Ron kikí asked: Is something wrong? Did you fell bad food? Thanking Ron kikí for the offer, she returned to sing and sing and follow the days did not stop one day to get up early and early to heaven raise their songs. And so the days passed during the winter and to get back the spring and filled the trees of leaves and flowers burrito in kindness, he told Ron kikí Go to the branch of your tree if you want to fly and friends visit. The burrito nobility risked being alone again and had the possibility of no longer seeing Ron kiki again, but he was told himself that freedom was to see others happy. In this case his joy was to see Ronkiki happy with their loved ones. Ronkikí was immediate and very sociable went flying. Great was his surprise when he recognized his brothers birds playing around the bush and among them also saw his parents. Ronkikí, his parents and brothers embraced with great fanfare and then to tell what happened during the winter, flew together where the colt Lord and to his surprise gave him a cute and beautiful serenade thanking him for his good heart and help. A monitor that day Mr. burrito not again felt more alone because Ronkiki family came every morning to sing and cheer the heart. With this history of Ron kikí we learn that “The virtue of obedience of a child suffering avoided in the future” and that being generous as the burrito Heaven reward you doubly because who cares, Receive Similarly learn much appreciated by the birds in the best way a well it is received. And red bunting this story is over. Buen dia Comunidad Taoista , hoy comenzamos los retos semanales de salud . Buen día Shanga, Familia, Frateres, Seguidores, Comunidad Taoísta y público en general hoy nos encontramos súper animados y para este fin de mes una genial receta alcalina, sabrosa, fácil de hacer, sencilla y sobre todo ¡Sin Azúcar! Receta de Mermelada casera sin azúcar del libro Reina Palta de Antonia Cafati y Pati Aguilera. Oración que se hace en silencio, o reflexión intimista sobre algún tema espiritual o trascendente. Póngase cómodo, no use ropa apretada, busque un lugar adecuado para (padá) realizar la práctica, hay varias clases de técnicas meditativas, recomendamos la técnica Taoísta de meditar en estado OMEGA, que es hacer ejercicios al máximo de potencia, bañarse y entrar en relax o ALFA. perfumes, varillas aromaticas (arovítvikas) ubicadas en forma piramidal alrededor de el cuerpo, etc. con la cabeza y magdus apoyados al piso.